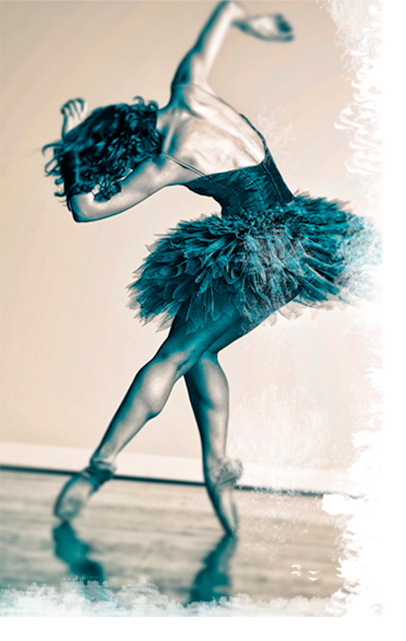 Deciding to pursue a professional dance career is a huge decision. If its something you really want, you will have to have to put maximum effort not only into your training, but into setting yourself up in the best situation to support this goal. With so many factors to address, where should you start? If you are still a young student, the first item to consider iswhether you are getting the training you need to be technically and artistically competitive. One way to assess your current school is to find out how many of its students have gone on to professional careers and exceptional college dance programs. You should also consider how many hours of training you receive each week and what level of proficiency your teachers each reached before becoming instructors. If you want to dance professionally, you should be training about four hours daily, five days a week, by age thirteen or so. Your teachers should have each either danced professionally or pursued study in pedagogy for their field of dance. Be aware that a former professional dancer may not know how to teach well, and a pedagogically trained teacher may not have enough knowledge about professional-level training. For ballet, contemporary and modern dancers, finding a school that will put you at your best advantage for a professional career can mean transferring to a school that is attached to a professional company. Many such schools will require an audition for acceptance or at least for level placement. Some of the largest and best of these schools also offer academic classes, like Walnut Hill or the tuition-free Harid Conservatory. Some, like School of American Ballet and Joffrey Ballet School, are affiliated with professional children’s academic schools, and some, like The Rock School for Dance Education, have special arrangements with the local school system. Finding the right school, getting in, and finding a way to afford it can each be huge hurdles. Some dancers simply do not have support from their family or money to attend or even apply to such prestigious schools, in which case transferring to the best school in your town is the next best option. It is a tougher road but not an impossible one. Before deciding this is your path, research all available scholarships, free-tuition programs and ways to raise funds. Remember that when you start auditioning for work, you will be competing against hundreds of graduates of professional schools like the ones above. Deciding to transfer out of your current school can be a difficult one. Often a young dancer’s school is like her second home, her dance friends and teachers her second family. Remember that transferring schools doesn’t mean having to cut ties with everyone there, and you should always be respectful and appreciative of the many things your “old” school taught you. A dancer’s first school is usually the one that inspired her to begin a path to a professional career, and that passion for dance is the most invaluable part of a dancer’s education. You will become eligible for many company auditions by sixteen, but that does not mean you need to start auditioning then. Most companies don’t take dancers until they are in their early twenties at least. Going to a very high-quality college dance program is the step I recommend for professional-track dancers graduating from high school. College dance programs are always evolving in quality, so when its time to start looking at colleges, I highly suggested getting yourself a copy of The Dance Magazine College Guide to find out which ones are best. Ideally, you want to find a truly top program that turns out professional dancers and is affiliated with a professional company so you can gain performing experience and set up a connection to a company while in college. Once again, getting into and affording the right school can be huge hurdles. Scholarships and working while in school can ease the financial burden, but the audition is all you. About two years before you want to start your professional career, you will need to start intensive research on potential employers and decide on your application presentation. You may have to have to put in as many hours researching companies, developing your marketing materials (résumé, photographs, videos, etc) and earning money to fund an audition tour as you do training – and that’s a lot of hours. Different companies value different qualities. Preferred body types, training techniques and dancer “looks” can vary widely. You don’t want to waste your time auditioning for a company that only likes lithe blondes with Balanchine training if you are a short redhead trained in Cecchetti. You’ll find that some companies welcome a variety of looks for their dancers, and you may prefer that culture. Finally, it comes down to the audition. When at all possible, avoid the cattle calls of open auditions. It can be extremely difficult to find work this way. Instead, find out how to get into a company class. Some companies will want to see your video before they will agree to let you audition. Those pre-screened auditions are also much better than the cattle calls. If you are offered contracts, you will need to compare your potential pay and benefits, geographic locations, amenities, facilities, performance opportunities, etc, to decide which offer you want to accept.